'Eid-e-Shuja' also known as 'Eid Al-Zahra' is the day that marks the end of the mourning period after the events of Karbala. It is celebrated on the 9th of Rabi' Al-Awwal according to the Islamic calendar. It has been reported in some Shi'a traditions, that on this particular day, the second usurper of Islam namely 'Umar ibn Al-Khattab' was eliminated. 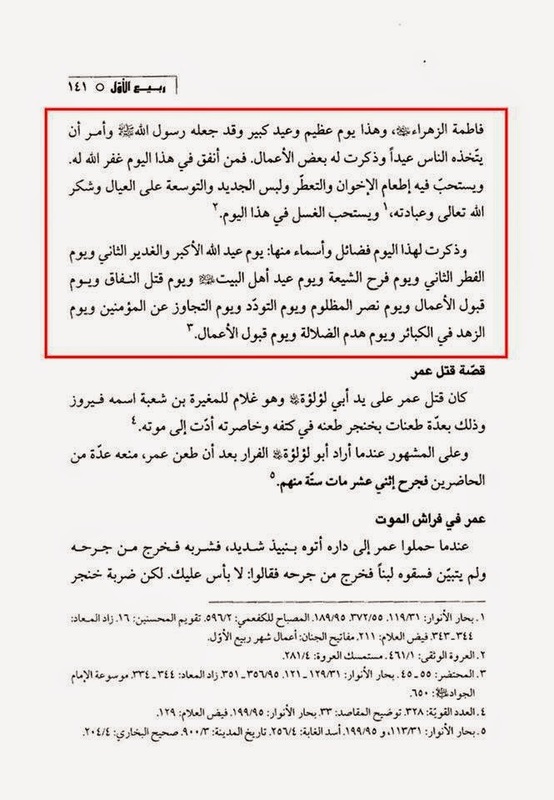 Unfortunately, present day scholars have concealed and repressed a large part of the Shi'a heritage of Ahlulbayt (a.s) from the general public. This is clearly demonstrated with regards to celebrating the death of Umar, the cruel vicious tyrant, the murderer of Lady Faatima Al Zahra (s.a) and her unborn son Al-Mohsin (a.s). 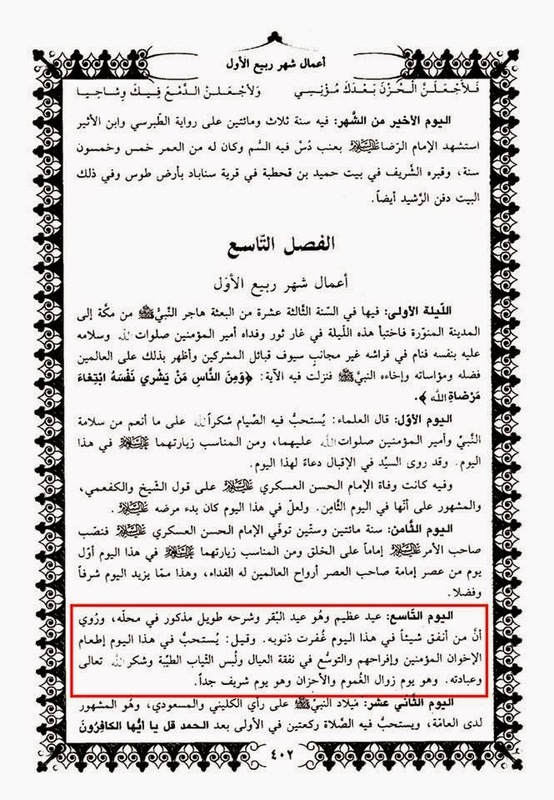 These pseudo scholars have gone to great lengths to hide this celebration from the followers of Ahlulbayt (a.s). They have been very successful in their endeavour, as most Shi'a are blissfully unaware of this celebration. 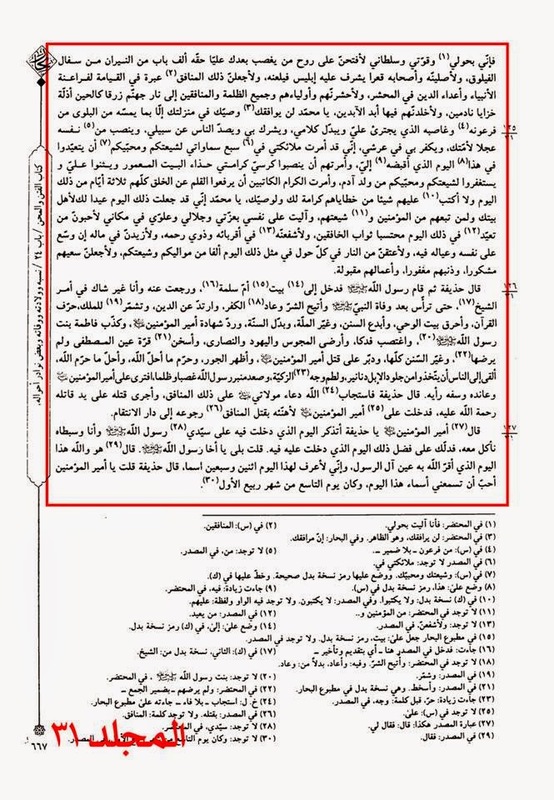 This kind of withholding information is something that we Shi'a accuse the scholars of the so-called 'Ahl ul Sunnah' of doing as they have been known to mislead their own people. 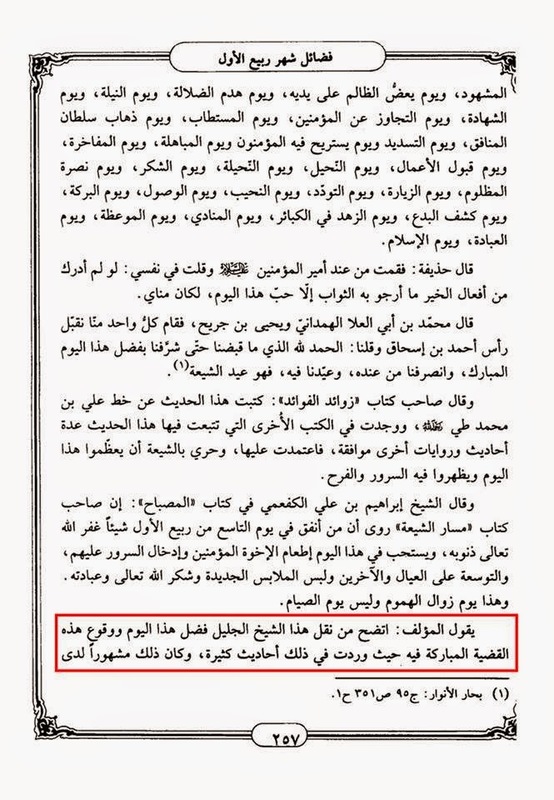 However, it is a sad reflection when our own scholars of Tashayyu are also doing the same to the Shi'a. What is also disturbing is that that past evidence shows that this blessed day was and should be recognised. 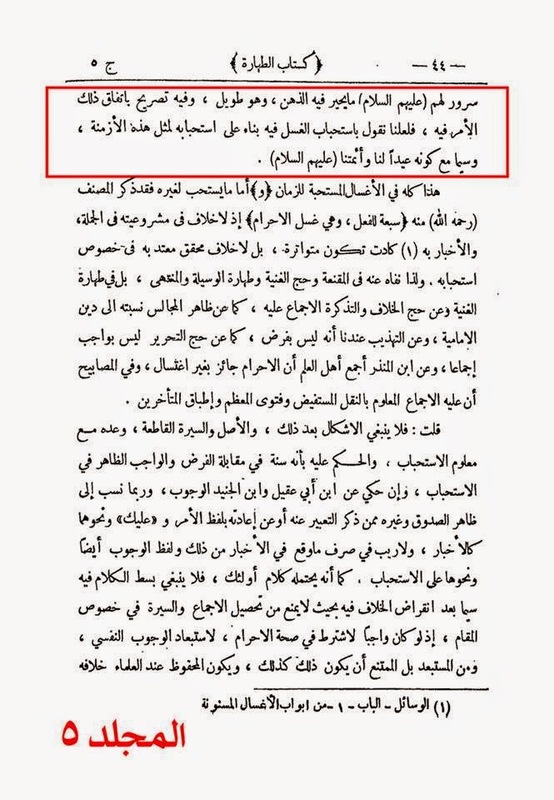 Anybody who disputes this is clearly ignorant, as we are in no doubt that this celebration has the full approval of Ahlulbayt (a.s) as past scholars have shown. Now here is the crux of this argument - under the guise of "unity" this celebration has been thrown under the bus, so to speak. Politics now dominates the Shi'a faith. Loyalty and devotion to Ahlulbayt (a.s) has been replaced with, not wanting to "offend" the sensitivities of those who revere the enemies of Ahlulbayt (a.s). Of course, as a minority, we Shi'a must be sensible with regards to vocalising our delight at the elimination of individuals such as Umar ibn Al-Khattab since his followers make up a large percentage of those who have and would gladly murder innocent Shi'a. 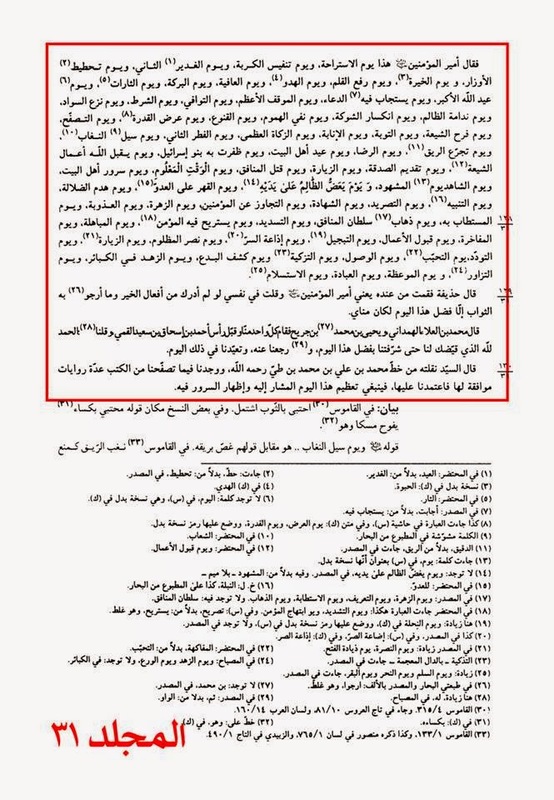 However, this should not come at the expense of the vast majority of the Shi'a being ignorant of such celebrations. Our scholars should appreciate that the Ahlulbayt (a.s) wanted their followers to rejoice on this day (the narrations support this). Would these very scholars condemn the house of Ahlulbayt (a.s) for holding such celebrations? Surely this is hypocrisy at it's worst. Would we as Shi'a believe that the Holy Household caused Fitnah themselves by celebrating such events? How can we as followers even suggest that? We see that sadly, this is what some people at present are suggesting. There really is no other way to interpret this. This leads to the question - what should be more important to us, following the tradition's of Ahlulbayt (a.s) or blindly following and trusting our scholars who may unfortunately have more political motivations than religious ones? 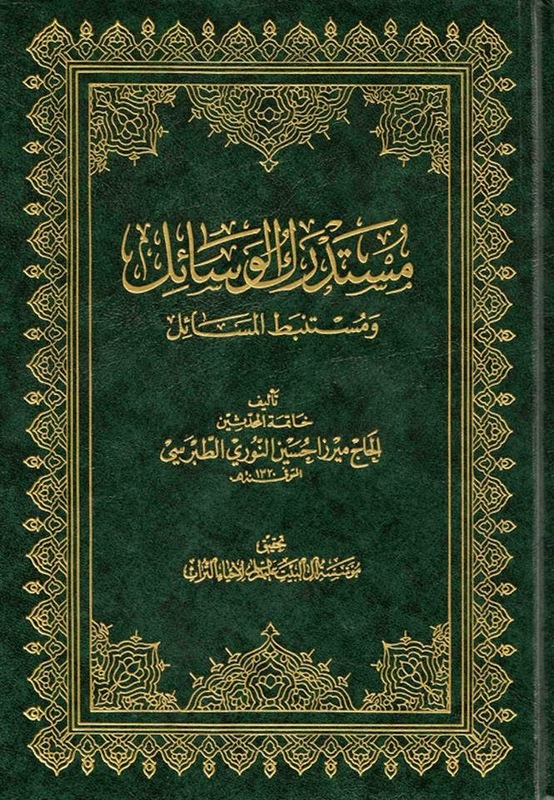 However the famous date among Shi'a in all countries and all ethnicities in our times is ninth of Rabi Al-Aw'wal, and it is one of the Eids, and the evidence for it is originally what the noble Sayyed Alee ibn Tawoos has narrated in his book Zawa'id Al-Fawa'id and also what Sheikh Hassan ibn Sulayman narrates in his book Al-Muhtadhar and the version presented here is from the latter, the version of Al-Sayyed will be mentioned in the book of Du'a. 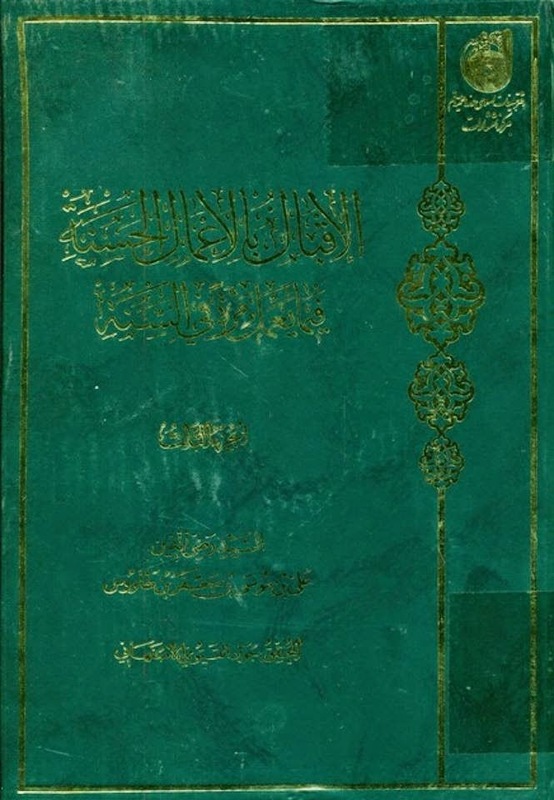 Narrated of the Sheikh, the jurist, Alee, son of Mudhahir Al-Wasiti, in a coherent and consistent chain of narrators, of Muhammad, son of Alaa' Al-Hamadani Al-Wasiti and Yahya, son of Jurayh Al-Baghdadi, who both said: "We quarreled on the matter of the son of Al-Khattab, and we became uncertain of his matter, so we all went to Ahmad, son of Ishaq Al-Qummi, the companion of Al-Askari (a.s) in the city of Qom, and we knocked his door. An Iraqi girl came out of his house and we asked her of him. She said: "He is busy with his family, because this is an Eid." So we said: "Glory be to Allah (swt)! The Eids for the Shi'a are four: Al-Adha, and Al-Fitr, and the Day of Ghadeer, and Friday." She said: "Ahmad narrates of his master, Abil-Hassan Alee, son of Muhammad Al-Askari (a.s), that this is an Eid and it is the best Eid for Ahlulbayt (a.s) and their befrienders." We said: "Then ask him to give us permission to enter into him and tell him where we are." So she went into him and told him where we are, and then he went out to us while wearing one of his aprons and holding closely on to a cloak and wiping his face, and we criticized him for doing so. He said: "Do not do so, because I have made an ablution for the Eid." We said: "Is this a day of Eid?" That day was the ninth day of the month of Rabi'ul-Awwal. He said: "Yes!" Then he let us into his house and we sat on one of his beds. "O Muhammad" I have known beforehand that you and your Household shall be rammed by the calamities and trials of the material world, and by the oppression of the hypocrites and usurpers after me, those whom you have advised and they will betray you in return, and those towards whom you have been sincere and they will swindle you in return, and those whom you have purified and they will antagonise you in return, and those whom you have believed and they will reject you in return, and those whom you have saved and they will hand you over in return. I swear on My Power, and Strength, and Authority, that I will open for the soul of those who usurp the right of Alee (a.s) after you; a thousand doors of fire from the lowest part of Al-Failouq, and I will burn him along with his companions in the deepest part (of Hellfire) to such a degree that Iblees will be treated better than him and curse him! And I will make that hypocrite an example on the Resurrection for the Pharaohs of the Prophets (a.s) and the enemies of religion on the place where all shall be gathered, and I will gather them and their allies and all oppressors and hypocrites in the fires of Hell, stabbed, gloomy, humiliated, disgraceful, regretful! And I will make them abide there forever. O Muhammad (saw)! Your successor will not have the same rank as you unless by the disasters he will face from his Pharaoh and usurper who crosses the limit against Me, and changes My Words, and polytheists in Me, and repels people off My path, and nominates for himself a calf to your nation, and disbelieves in Me in My Throne. Indeed, I have commanded my Seven Heavens, for your Shi'a and your lovers, to celebrate on this day in which I shall take his life, and I have commanded them to construct the chair of My Honour in front of the Bait Al-Ma'mour and praise Me, and to ask forgiveness for your Shi'a and your lovers among the sons of Adam (a.s). Hudhayfah ibn Al-Yaman said: 'Then I went from him and I said in myself: If I had not known any good deeds and the things that I perform when I want rewards except for this day, then this day would surely have been my wish.'" Muhammad, son of Al-Alaa' Al-Hamadani and Yahya, son of Jurayh, said: "Thereupon everyone of us stood up and kissed the head of Ahmad, son of Ishaq, son of Sa'eed Al-Qummi, and we said: 'Praise be to Allah (swt) who decided for you for us so that you could honour us with the merits of this day.' Then we left him, and we celebrated that day." 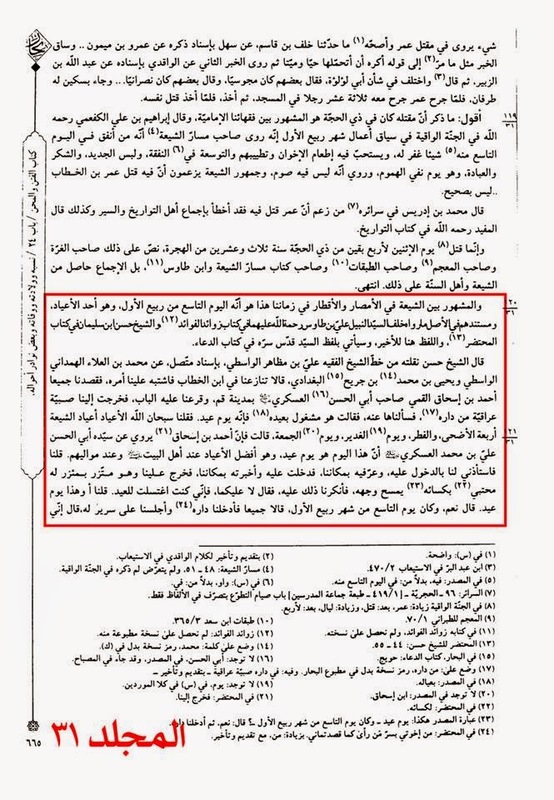 Footnote: Al-Majlisi II: Al-Sayyed Razzi ul Deen son of ibn Tawoos said: "I have narrated it from the hand writing of Muhammad ibn Alee ibn Muhammad ibn Tay (r.a) and we have found in what we read from the books several narrations in consent with this narration (about Eid on the day of 9th Rabi Al-Awwal). So we relied upon it. thus we should respect this day being referred to (9th Rabi Al-Awwal) and show/display happiness in it. 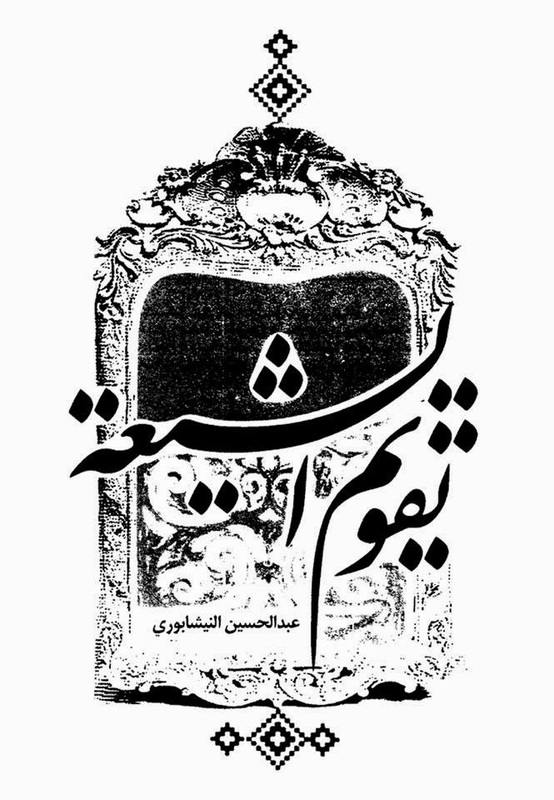 Source: Bihar Al-Anwar. Vol. 31, # Pg. # 665 - 668. Now what remains are two issues: the first; some scholars and researchers - have said that the death of Umar took place on another day during the month of Dhil-Hijjah, and not on the ninth day of Rabi'ul-Awwal. However, we believe that the strongest possibility is that it indeed took place on the ninth day of Rabi'ul-Awwal, because closer and more detailed examination leads to this conclusion. This research shall not be mentioned here as it requires detailed analysis. The author (i.e. 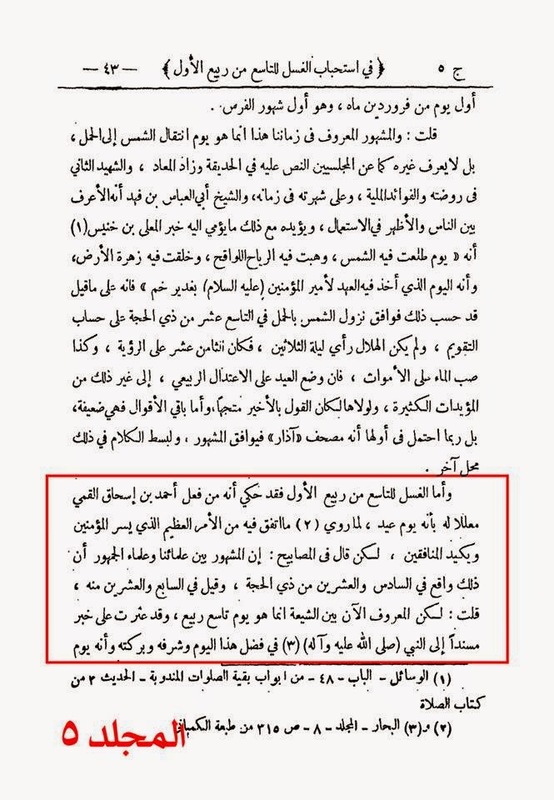 Al-Majlisi II) says: It becomes clear from the narration of this great Sheikh the merits of this day and the occurrence of this blessed event in it, such that it has been narrated many narrations about it and it was famous among the Shi'a in those old times. 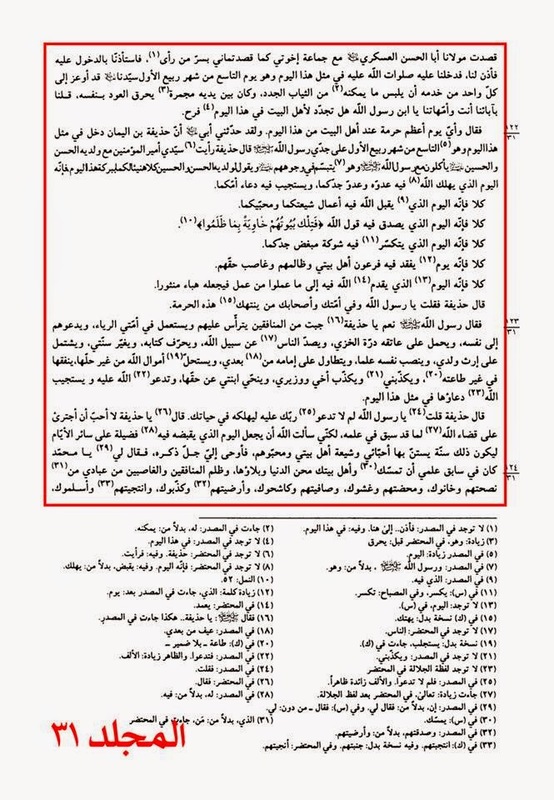 And to my knowledge, there has not been narrated anything in contradiction to it and the consensus of the Sunni historians is not acceptable as contradiction against reliable narrations. 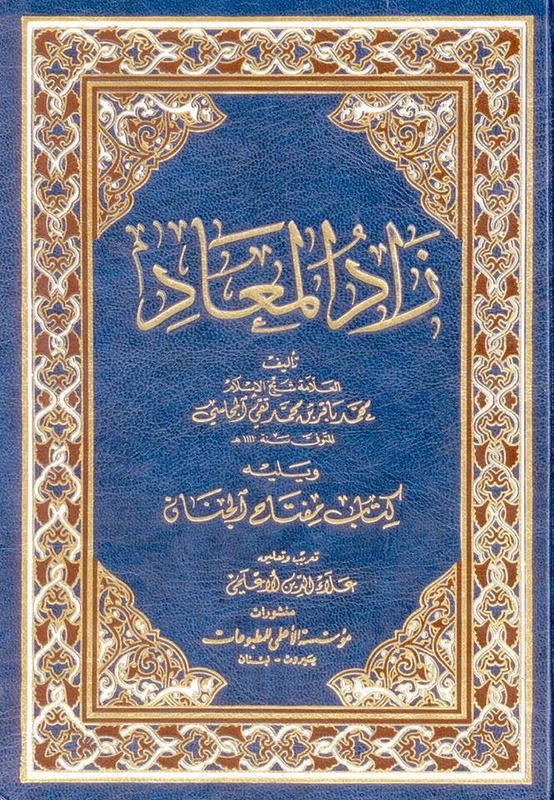 As for the part of the noble narration which says that Allah (swt) commands the Angels to stop their pens from writing the deeds of all the creation for three days and not write down anything of their wrongdoings, it does not mean that people are permitted to cross the limits of Allah's (swt) commandments and prohibitions, but rather it means that Allah (swt) shall command the Angels not to write down the disobedience made to Him by His servants without the intention of crossing His limits. Hence, it is only a matter of an advanced forgiveness for their deeds. Otherwise, he who crosses the limit against Allah (swt) on these days and commits actions that cause His Anger by assuming that there is no problem in doing so, then his evil-doing is counted on him and he will be given his due punishment. Source: Iqba Al-A'mal. Vol. 3, Pg. # 113. Sheikh Al-Mufid (D. 413 A.H): "On the ninth day of it (the month of Rabi'ul-Awwal) is the day of the great Eid, and there is a lot of explanation on this issue in another place. The Prophet (saw) celebrated it and he instructed the people to celebrate it as well." 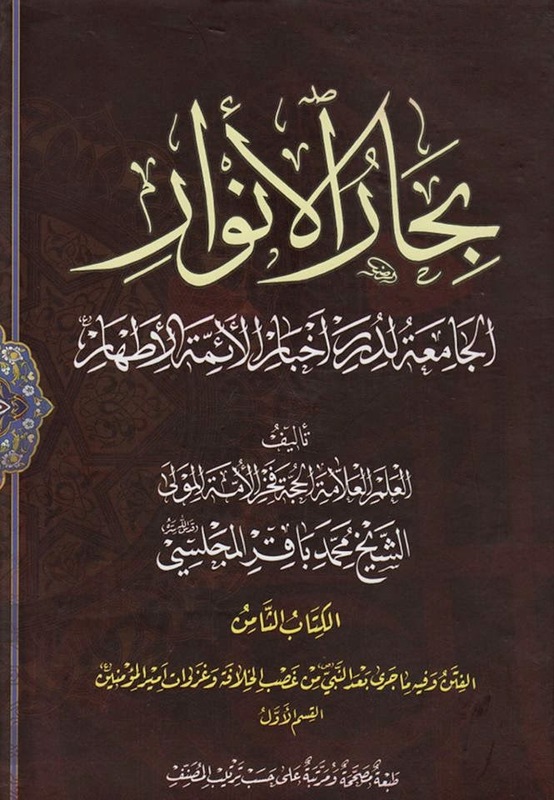 Al-Noori Al-Tabarsi: What he says points to the reliability of the narration. 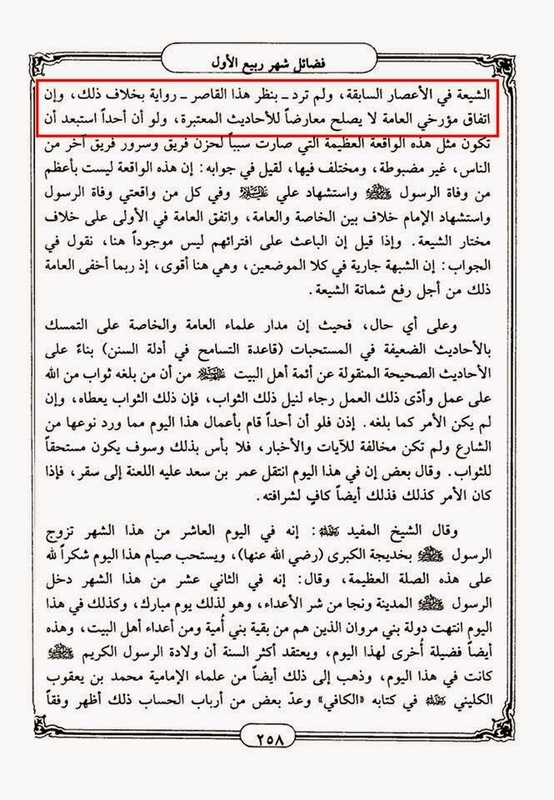 Source: Mustadrak Al-Wasa'il. Vol. 2, Pg. # 522. 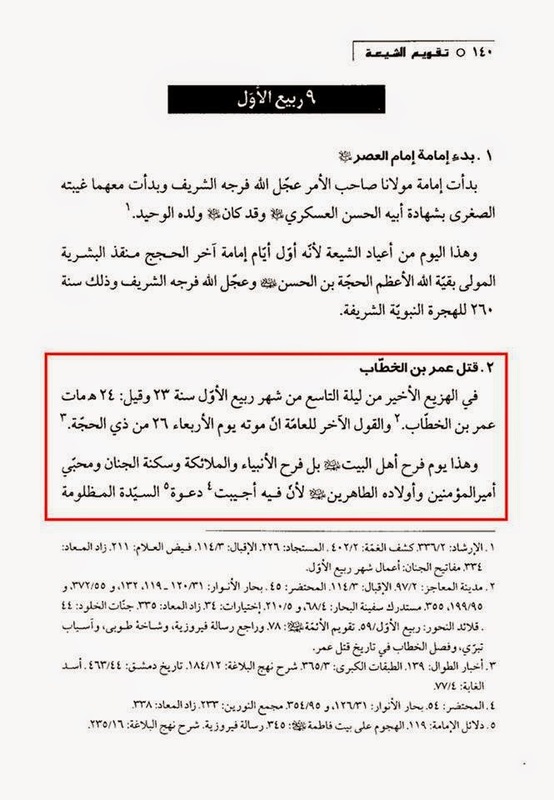 The 9th of Rabi Al-Awwal: It is a great Eid and it is the Eid of Al-Baqr (stabbing i.e of Umar) and its explanation is long and is stated in its required place, and it is narrated that verily one who spends anything on this day will have his sins forgiven and its is said that it is Mustahhab on this day to give food to the believing brothers and to make them happy and to increase the spending on ones household and wear clean clothes and thank Allah (swt) and worship Him, and this day is the day of passing of distress and grief and it is a very noble day." 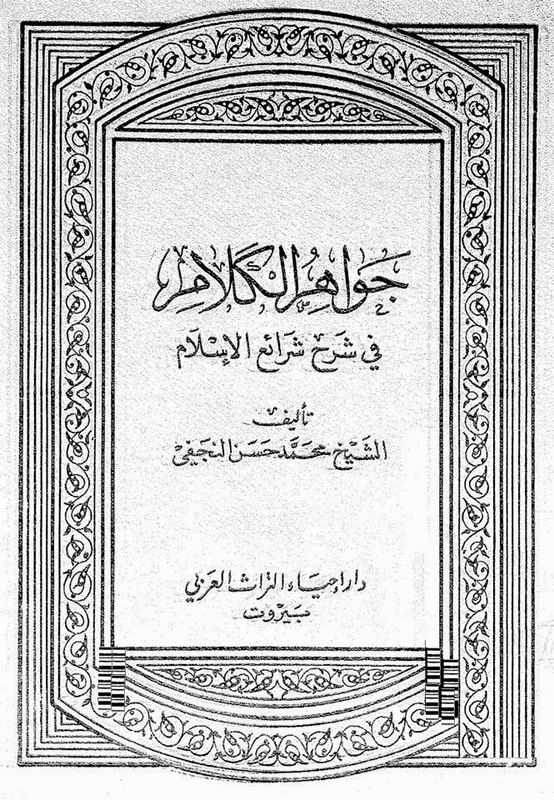 Source: Mafathi Al-Jinaan. Pg. # 402. 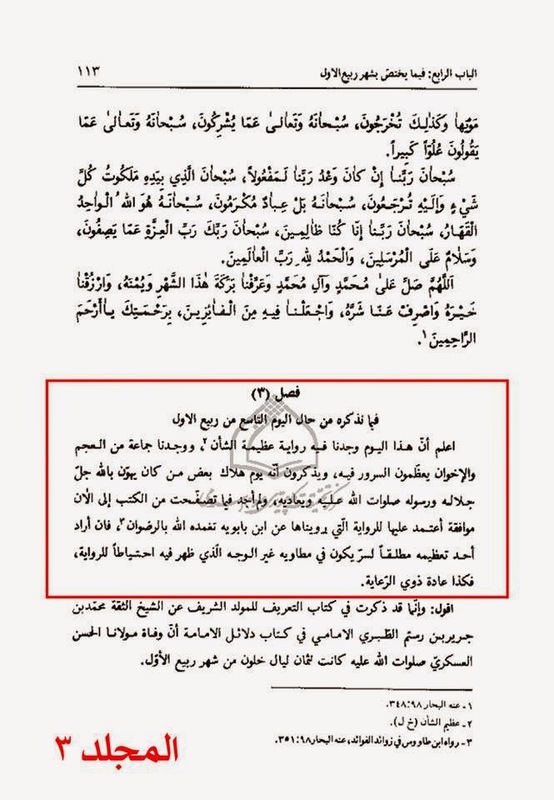 Chapter: "Death of Umar ibn Khattab"
And this is a day of rejoice for Ahlulbayt (a.s), moreso this is a day of rejoice for messengers, angels, inhabitants of two gardens, and lovers of the Commander of the faithful (a.s) and his pure children, because in it was answered the prayer of the oppressed mistress Faatima Al-Zahra (s.a). And this is a great day and great holiday. And prophet (saw) gave an order for people to take it as a holiday and mentioned for it some deeds. And Allah (swt) would forgive the one who would gave charity on this day. And it is desirable in it to feed brothers, wear new clothes and distribute perfume, and thank Allah (swt) and worship Him. And it is desirable to make ghusl on this day. And for this day mentioned merits and names, amongst them: The greatest holiday of Allah (swt), second Ghadeer, Second Fitr, day of rejoice of Shi'as, the holiday of Ahlulbayt (a.s), the day of death of hypocrisy, day of acceptance of deeds, day of victory of oppressed. 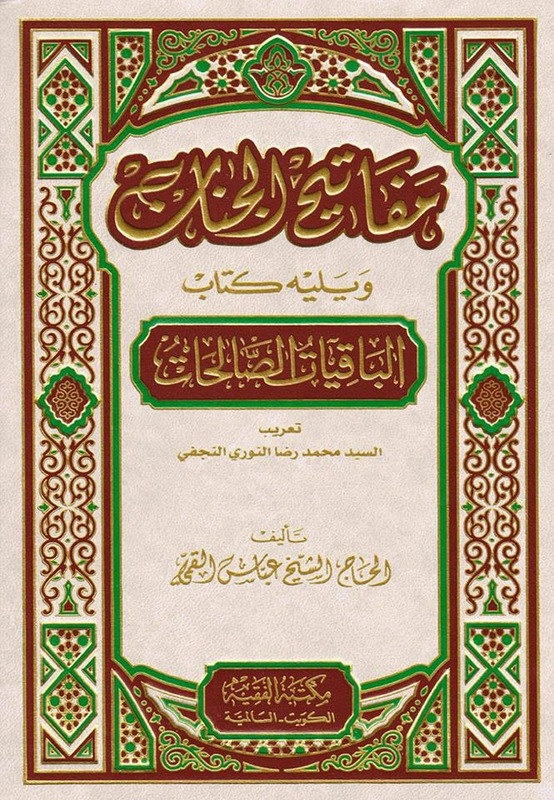 Source: Taqwimu Shi'a. Pg. # 140 - 141. What is your opinion about the "Eid Al-Zahra (s.a)" gatherings? Are these gatherings classified as unlawful games and idle talk? And what about clapping in such gatherings? Organizing "Eid Al-Zahra" (s.a) gatherings if they are empty of any prohibited activities are considered amongst the best means of seeking nearness to Allah (swt). 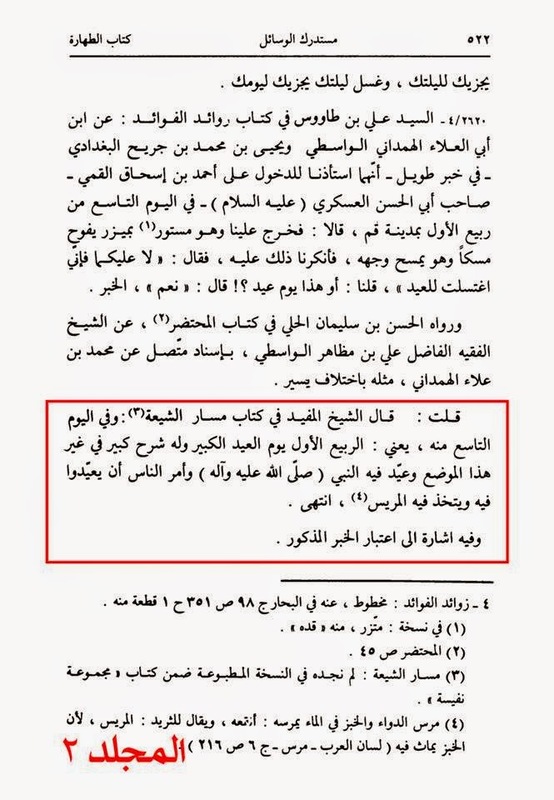 As about clapping, as long as it is according to Islamic morals and does not contradict piety then it is fine.